Ralph Lauren has long been our go-to for classic staples like white polo shirts, blue-and-white striped oxfords and preppy navy-blue blazers. 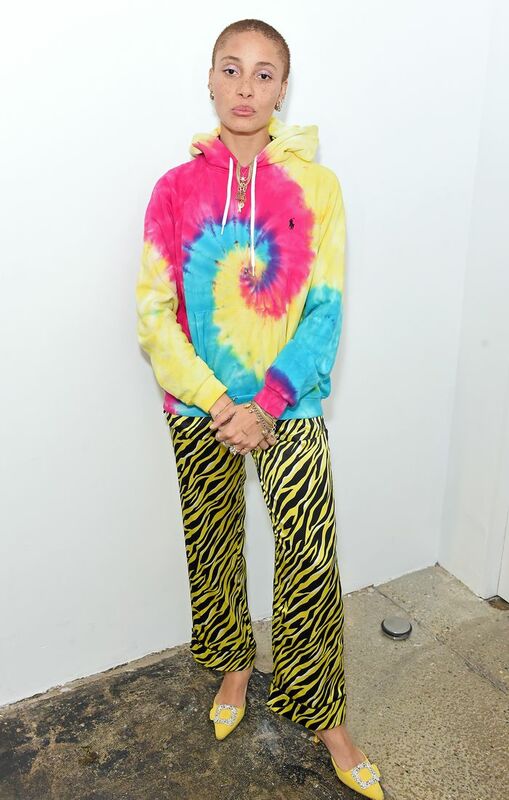 However, this year they've been one of the brands leading the tie-dye revival, with surprisingly out-there pieces in acid-hued psychedelic swirls. These tie-dye pieces have been a real hit with celebrities and fashion girls alike. Model Adwoa Aboah has been wearing all the tie-dye going, from Nike T-shirts to velvet suits, and she's been wearing the '90s-style Polo Ralph Lauren hoodies. Gigi Hadid is another model who been wearing the tie-dye Polo T-shirt, pairing it with white trousers and a pearl necklace. Keep scrolling to see how others have been wearing this buzzed-about collection—and shop our edit of other must-have tie-dye pieces below. Style Notes: Adwoa Aboah wears the high-octane swirly Ralph Lauren hoodie with a pair of yellow zebra-print trousers and yellow crystal-embellished mules. In this instance, more is certainly more. Style Notes: In New York, Gigi Hadid wore the tie-dye Polo T-shirt with white trousers, white brogues and white socks. Style Notes: Astrid dives head first into the '90s trend wearing her tie-dye T-shirt with neon-pink cycling shorts, a belt bag and tie-dye Ralph Lauren socks. Style Notes: For a more classic look, follow Anum Bashir's lead and wear the tie-dye shirt with straight-leg jeans and strappy mules.